Since moving here we’ve managed to cram in a whole heap of stuff – I should have started this baby ages ago – so to bring things up to date I thought I might do a bit of a run down of some of the highlights! Imagine it kind of like one of those cheesy end of year tv specials but without the ad breaks. One of the lures of moving here was that we would live only 20 minutes away from this (left) and three and a half hours away from this (right). The novelty hasn’t worn off yet…I’m not sure it ever will. Coachella = Awesome…that is all…2015 tickets are booked. So after surfing here for almost a year, in freezing cold Norcal water, we decided for our honeymoon we wanted to try surfing in warmer waters. Hawaii seemed like the obvious choice but when our surf instructor, turned friend, affectionately referred to as ‘surfer Dave‘, mentioned he was headed to Costa Rica and that we should join him, we were sold! Camping on the Sonoma Coast. Totally seduced by the idea of flinging open our tent flaps to be greeted by these views. We pitched our tent on the edge of a cliff. Needless to say as our eyes drank in the amazing view they were also slowly blinded by the bucket loads of sand being whipped in to them by, what I’m certain could only be described as, gale force winds! Note to self, next time pitch better! Yosemite is an incredible place, it literally looks like the set of a prehistoric movie. We were totally in awe and can’t wait to go back, though perhaps not in September – 107F made for a pretty sweaty few days. We have come to realise that the US loves admin – fact. So after completing endless forms, medical tests, retina scans, fingerprinting and after proving that our marriage was not a sham…our Green Card arrived! 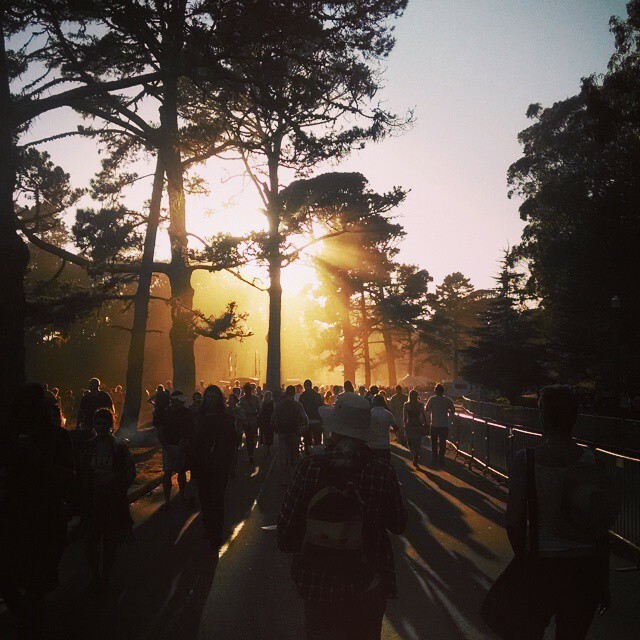 Hardly Strictly Bluegrass – we were told it was one of the things you have to do in San Francisco before you die…we now know why. Highlights included St. Paul & the Broken Bones, chips (fries, if we’re going all American) dipped in vanilla milkshake and ‘special’ strawberries. We took the visiting parentals along too, they loved it! I’m a bit of a geek when it comes to books and have been known to forgo meals in order to finish a particularly compelling story. 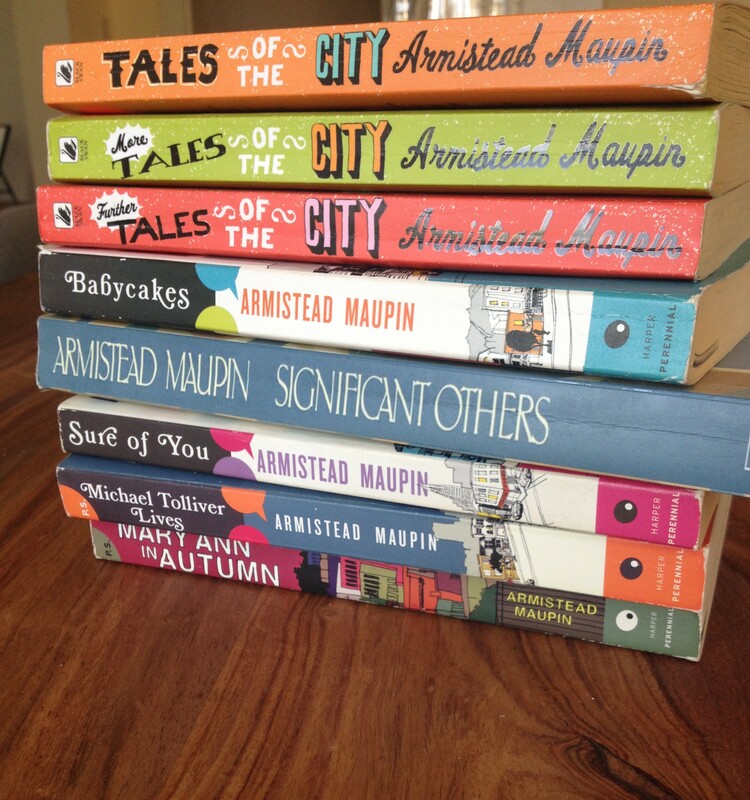 So when a fellow immigrant recommended Armistead Maupin‘s Tales of the City, I was instantly hooked and busted through the whole series. If you’ve not read them then do it, now! Turns out it was also made in to a miniseries AND he’s just released the final book in the series, oh joy! 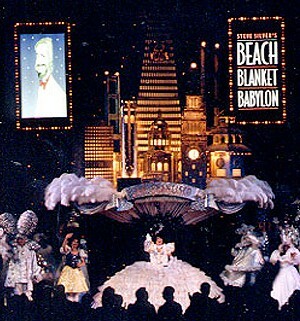 Beach Blanket Babylon is a San Franciscan institution and ‘the longest running musical revue in theatre history’ no less. I’d wanted to see it before we even moved here. ‘Spectacular’ is one word I’d use to describe it and ‘awesome’ another. Even the very skeptical male company, convinced to join us with the lure of Italian food and wine, thought it was ‘bloody brilliant’. So many lovely things and many more besides. Next > let them eat cake!